In a press release on Tuesday, Tech announced the dismissals of three football players: Redshirt sophomore wide receiver Anthony Autry, redshirt sophomore defensive end Travin Henry and redshirt freshman defensive tackle Darius Commissiong. 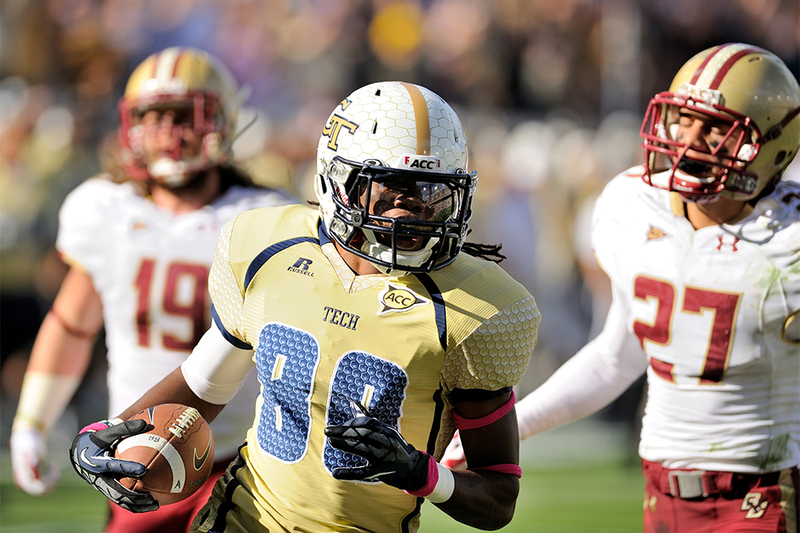 Tech also announced that redshirt sophomore cornerback Lynn Griffin will be serving a two game suspension. All four were cited for violations of the Athletic Association’s student-athelte code of conduct. Autry played in eight games in 2012 and had three receptions for 117 yards and a touchdown before suffering a season ending knee injury. After suffering another knee injury last offseason, Autry missed the entire 2013 season, but was on schedule to return to the field in 2014. Autry, along with Commissiong, was already facing a two game suspension at the beginning of the 2014 season prior to be dismissed from the team. Anthony Autry is the older brother of Myles Autry, a 4-star A-back who signed with Tech as a member of the 2014 recruiting class. Myles is only eligibile to play at Tech next year unless Coach Johnson releases him from his letter of intent. Griffin played in all 12 games last season, making nine total tackles and also returned kicks. He was not facing any suspension prior to this. Commissiong never played a game as a Jacket and Henry played in only two.